A friend recently showed me a photo of a special bottle decanted for his milestone birthday: a 2002 Montrachet from DRC. The colour was as vexingly deep as Satan’s tears - a Satan that had just decanted an expensive wine and found it prematurely oxidized and undrinkable. So, this particular Cellar Favorite is a reminder that mature white Burgundy can be a wondrous thing. When it comes to naming the greatest white winemakers from the Côte d’Or there are obvious contenders: Jean-François Coche, Dominique Lafon, the late Anne-Claude Leflaive and perhaps Lalou Bize-Leroy. To that illustrious list I would add Pierre Morey. 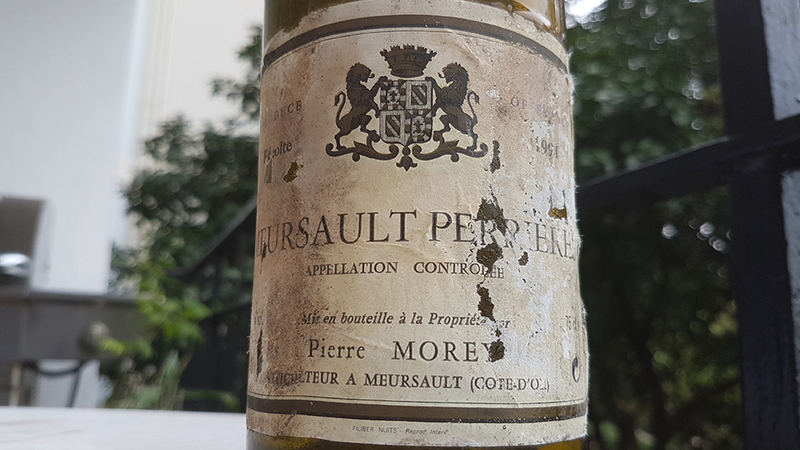 In 1935, Auguste Morey became one of nine sharecroppers for Domaine des Comtes-Lafon and in 1971, established Domaine Pierre Morey with his son. Pierre Morey sealed his reputation as a gifted winemaker as régisseur at Domaine Leflaive from 1988 until 2008. An early proponent of organic and biodynamic farming, he was instrumental in applying the techniques at both Domaine Leflaive and his own vineyards. Now retired, his namesake Domaine and négoçiant (Morey-Blanc) continue under his daughter Anne Morey. The particular wine in question comes from the dawning of Pierre Morey’s embracing of biodynamics, when it was barely known and practiced by just a handful of winemakers. I also believe it was the final vintage from the métayage with Comtes-Lafon and the vines returned to Dominique Lafon.